Cleaning tile floors and grout by hand is hard work. It’s messy, uncomfortable and impossible to get the deep-clean results that come with professional tile and grout cleaning. Grout, a porous material that collects dirt, grime and spills, is the toughest to keep clean. 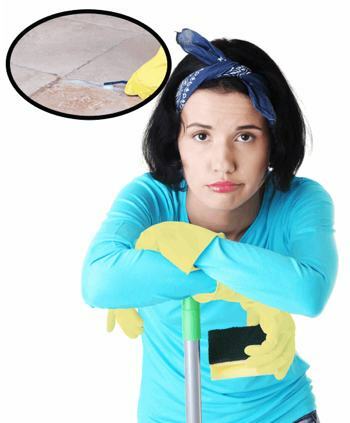 Mopping can’t reach the deep dirt that lies in your grout line. Are you tired of looking at the dirty, dingy grout in your tile or stone floors? Let the power of the Rhino clean the tiled surfaces anywhere in your home. The thick skin of this awesome creature is akin to the superior ColorSeal we use to protect your grout from mold, grease, and grime. Our grout cleaning process, which includes cleaning for tile floors, and natural stone floors, is highly effective. It’s also safe and gentle on your floors and for your family! Grout Rhino specializes in cleaning grout and tile. Restore your grout and tile to their original condition with our revolutionary steam cleaning process. Your tile will look like new, and your grout will be transformed to its original color. Grout Rhino, Tampa professional grout & tile Cleaning company, provides you with the best residential tile cleaning services. Our environmentally green products will clean all your home tiled surface rooms: kitchen tile floor cleaning, bathroom tile cleaning, kitchen backsplash tile cleaning, tile fireplaces, shower floors and more. See about our Professional Tile Cleaning Services. Keep your home looking beautiful with our residential grout cleaning services. We clean your Kitchen grout, counter tops, bathrooms grout lines and all grout in your home can be clean and restore to a like new condition. Our industry-leading residential grout cleaning products is rivaled by none. Homeowners will be amazed with our results. Learn about Residential Grout Cleaning Services. Grout Sealing is an integral part of maintenance for tiled surfaces. If your surfaces have never been sealed or if they are due to be sealed again, we can seal your grout and tile after a thorough professional grout cleaning. Instead of repetitively re-grout your tile, to maintain its original color, allow us to color seal it. Find out more about Grout Rhino’s Professional Grout Sealing Services. Think about how many customers and employees enter your business every day. In a high-traffic area, there’s a lot of residue left behind by customers and even previously used cleaning methods. With Grout Rhino’s commercial tile cleaning, your floors will be spotless, sanitary, and odorless. Visit our Professional Tile Cleaning page for details. Grout Rhino’s commercial grout cleaning service is a complete grout restoration process that eliminates the headaches associated with the usual grout maintenance. In a high-traffic area, there’s a lot of residue left behind by customers and even previously used cleaning methods. We will revitalize your office and showroom’s floor. Read more of our Professional Grout Cleaning Services. Many factors contribute to the breakdown of grout. Whether your grout deteriorated over time because it was installed improperly or if it has been exposed to acidic chemicals, Grout Rhino, grout and tile cleaning company, can repair or replace a variety of grout. It is important to have an experienced technician who understands and adheres to grout science. Read more on how to make your grout look like new again. Our professional grout cleaning and tile cleaning service will amaze you. Put our grout cleaning service to the test and your grout and tile will look brand new! We are located a Tampa Bay local company, and we are proud to be a locally owned family business. If you are located within our Tampa Bay Area, you qualify for a free estimate from Grout Rhino Tile & Grout Professional Cleaning. Simply click the request estimate link to the left and complete the form, or call: (203) 273-6803. Grout and tile cleaning company in Tampa Bay. Grout Cleaning and Restoration Serving the Tampa Bay metro area. Protect newly installed grout or transform old grout back to new with ColorSeal! Grout Rhino offers a variety of grout colors to choose from. Our customers tell us they feel like we are giving them new looking floors or walls for a fraction of the cost of replacement. After a thorough cleaning and preparation of your grout, our ColorSeal is applied to your grout lines. Following a final buffing process, the result is beautiful, stain-resistant, water-resistant, and mold-resistant grout that is designed to last for many years. Call us today to request your FREE ESTIMATE at (203) 273-6803. After your tile floor is beautifully cleaned, we apply a finishing coat of sealant to protect and keep your tile floor looking great. The sealer works as a protective barrier against future stains and spills. At Grout Rhino, when we seal tile grout, we make the tile floor, natural stone and grout lines better than new.